Sorry for the Delay. Not Really. After my book was published last summer people looked at me with incredulity that I actually wrote a book. While I was “encouraged” by their faith, no one was more surprised than me. The reason is I’m a speaker not a writer. I don’t intuitively write well. Passive verbs, tons of adjectives and poor sentence structure are littered throughout different pieces I write. For example, an editor for my book Tap changed at least one thing in each and every paragraph – and was right to do so! But none of it bothered me. Why? I’m comfortable with the fact I’m a speaker who writes (occasionally), not a writer who speaks. The same applies to blogging. I realize several weeks have passed since I posted anything but you should know something: I’m very okay with that. Why? I am a pastor who blogs (occasionally), not a blogger who pastors. The last several weeks have been taken up with things like preaching, studying, counseling, etc., all of which are bigger priorities than sitting down and writing down my thoughts on whatever passes through my mind and heart for the blogosphere to see. As to thoughts which pass through my mind and heart, here’s one: I don’t want my ministry to work backwards. In other words, I don’t want to pastor out of my blogging. I want to blog out of my pastoring (and other things). Consequently, while some feel the pressure to throw something on their blog to keep their readership up, I don’t. Blogging isn’t my calling. Leading a church is. And the seasons where those commitments find themselves on the opposite side of the spectrum, blogging will always lose. Always. This doesn’t mean you cannot pastor a church well and be a prolific writer/blogger/author. Some men have the bandwidth to do it all (some even to do it well). However, others like to appear they can do it all but can’t. As a result, leading their local church takes a backseat to lesser things (e.g., social media, conference speaking, etc.). Let me be clear: I don’t possess the kind of superhero stamina, intelligence or resources to do all of it with equal intensity or frequency. Which means there will be seasons where I will frequently post and other times not so much. But I’m very okay with that. The pressure’s off. Why? 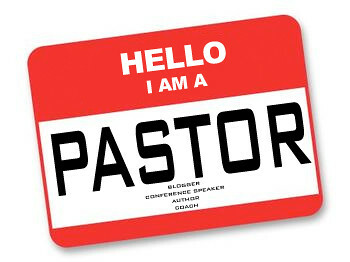 I’m a pastor who blogs. Not the other way around. So, as for the recent delay in blogging this past month, I’m sorry…but not really. 7 responses to Sorry for the Delay. Not Really. Thank-you. This was perfect for me today. Yesterday I wasted 3 hours trying to write a blog post, but it was not working out…nothing was sounding right couldn’t capture a solid point. I sometimes get the sense that I need to be blogging because I reach a bunch of other people through it that aren’t a part of our church family…this is backwards, like you say. I’m encouraged to be putting things back into perspective today…Thanks again. Thanks Mark. Blessings to you and Converge Church! Wow Sarah! Thanks so much for sharing your heart. I think I should just replace my post with your comments. You’ve hit upon the spirit of it all. Grace to you as you follow Jesus, sis!